Split screen web designs are hot, trending and becoming popular day by day. If you are new to this type of design then just to let you know that a split screen design is a beautiful way of presenting the information in two columns on a single minimal screen. The best way of using it to have visual content on one side and text on the other. If you are still confused, check out the Split Screen WordPress themes listed below to have a better understanding on how a split screen website, blog or portfolio looks like. So, if you are convinced or already looking for a Split Screen WordPress theme then you have come to the right page because here I have showcased the 10 best available Split Screen WordPress themes that you can use to build creative agency websites, personal portfolios, landing pages and much much more. I hope that you will find the perfect Split Screen WordPress theme for yourself and like this post. If you do, please like and share it with your friends and colleagues. Borderland is a pretty clean, informative and readable split screen WordPress theme which can be used for any type of personal blog or business related website. 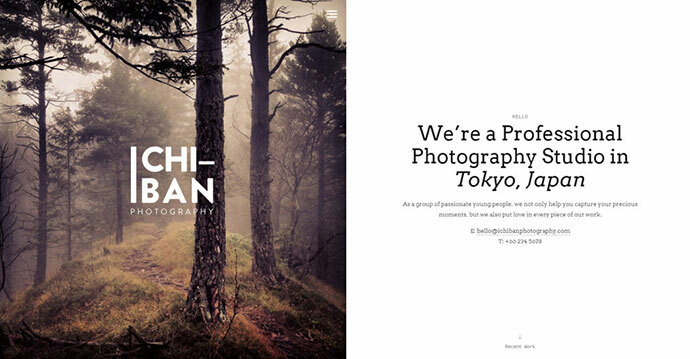 Ichiban is a split screen WordPress theme which has been built specifically for professional photographers who would like to have an online presence in an elegant and sleek manner. Ichiban has a pretty unique, clean design with a great focus on typography for a great reading experience. Uber is a minimal portfolio split screen WordPress theme and can be used for portfolios by photographers, freelancers, creative people, agencies and models. MagicBook is not exactly a split screen WordPress theme but a real 3D flip book kind of theme. It comes with some cool features like 3D menu and unlimited page numbers. It has a responsive design and very easy to customize. Master is yet another split screen WordPress theme with lots of modern features. It can be used to create a variety of sites like creative agency websites, portfolios, landing pages etc. 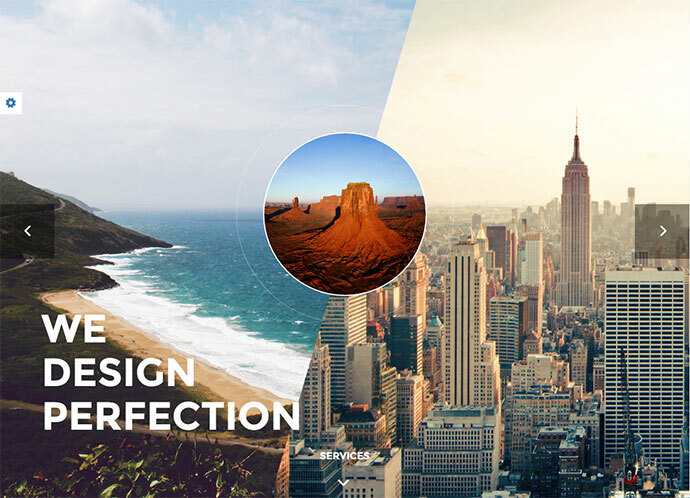 Aura is a great split screen WordPress theme with an extremely unique design. It is great for people who would like to have a minimal one page website. PN is a pretty interesting split screen WordPress theme with a creative and elegant design. 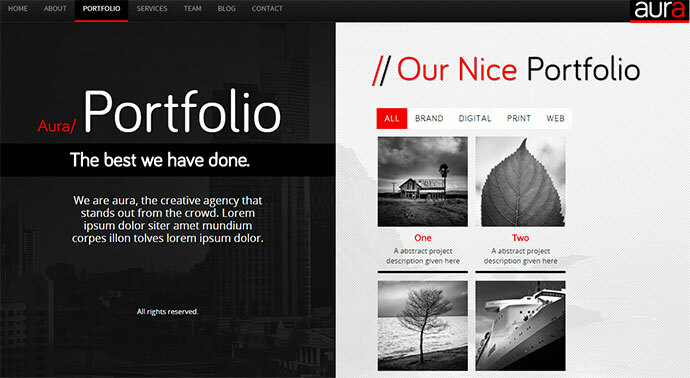 PN would be a very good choice for creative agencies and personal portfolios. Rain is a great split screen WordPress theme for people who love to write. Rain will be able to showcase your work or writing in a very minimal yet interesting way. Origin is a pretty simple portfolio split screen WordPress theme and comes with a Drag & Drop Page Builder. It has got 6 different types of home page layouts that are powered with AJAX. Some other things that you can expect from origin are unlimited color options, full screen videos, full screen image sliders, parallax scrolling and of course integrated Google Web Fonts. 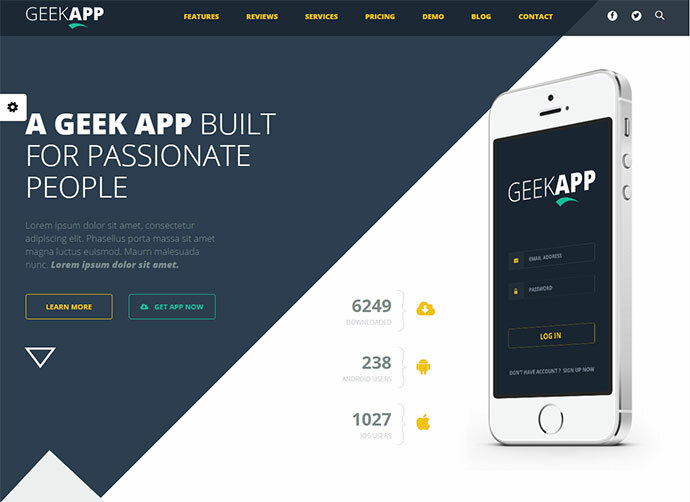 If you need a WordPress theme that can help you in showcasing your apps for Android or iPhone etc. then this is a great option for you. In fact, this WordPress theme can also be used as a regular theme to build websites with multiple pages.